Raisina Series: After Manmohan, Who? With Budget day coming up tomorrow, we are fast approaching the terminal phase of the 15th Lok Sabha. Thereafter the electoral cycle will kick in and every action of every political party will be geared towards the 2014 general elections. And with that, our current term-limited incumbent Prime Minister will be well on his way to lame-duck status, or shall I say, even more so than he already is. Before we come to the candidates who could succeed Manmohan Singh, it is important that we look at the state of prime ministerial authority that Prime Minister Singh will be bequeathing his successor. To put it bluntly, the office has never been in a more emaciated condition. I would even go as far as to say that we have not really had a Prime Minister for the last nine years, not in any form that would be recognisable to the framers of our Constitution, and it is my belief that much of the political turbulence that we have endured in recent years is a result of this vacuum of authority created in South Block. It was a premiership designed as such, when Sonia Gandhi decided to opt out of consideration and hand the job to a loyalist, one who could be trusted to keep the ship of state on course but be devoid of ambition, especially not of the wily PV Narasimha Rao-variety, a nightmare scenario the Gandhi family wished never to replicate. Thus, the prime ministership was splintered with Manmohan Singh charged with administration, Sonia Gandhi with overall political management, but leaving the vital public role of the job totally ignored. In the Lok Sabha there was left a void as well, with Leader of the Lok Sabha, the overburdened Pranab Mukherjee, doing the best that he could but unable to overcome one of the eternal verities of our parliamentary democracy that an Indian Prime Minister's mettle has to be tested on the floor of the Lok Sabha and it is there that he must prove his worth as a leader by dominating the proceedings by weight of performance and personality; the sine qua non of the Westminster model of government if it is to run successfully. Instead we were made to suffer, session after session, year after year, the statue-like visage of Prime Minister Manmohan Singh sitting in Parliament, unmoving and seeming utterly miserable. His negative body language in the form of crossed arms and a morose expression said it all. A good man perhaps, but certainly the wrong man for the job. In office a decade, he should have changed the face of the country in the way that the long tenures of Pandit Nehru and Indira Gandhi remade India in their image. Alas, I fear history will judge Sardar Manmohan Singh harshly, because in the ultimate analysis it does not matter what his coalition limitations were or whether he had ultimate political authority or not, he voluntarily chose to take on the challenge of sitting in Nehru's seat and was found wanting. 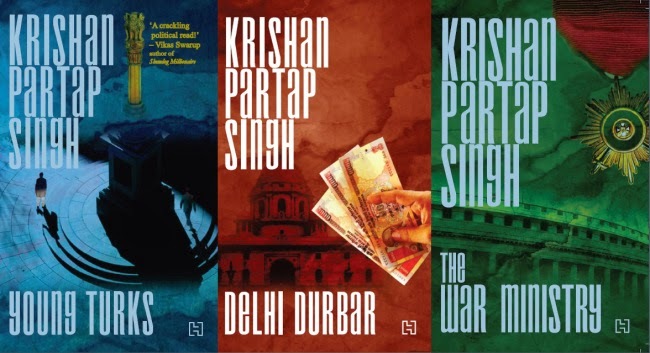 Having written three novels about an Indian Prime Minister, I could with some reason be accused of overstating the power of the post, irrespective of the talents of the occupant. It is true that India has become an increasingly difficult country to govern with the polity fractured by region, caste and religion, and untidy coalition governments a certainty for the foreseeable future. But it is my contention that the situation can be made manageable for the next PM if he or she is able to reclaim the prime ministerial powers that have been allowed to lie unused this past decade. Some of the extraordinary events of recent times involving corruption by coalition allies, protests by civil society, an activist judiciary, and the unprecedented behaviour of a serving chief of army staff, were perhaps unavoidable occurrences but each episode was allowed to reach unmanageable proportions because a political vacuum had been allowed to form and was then filled by these non-sarkari forces who sensed weakness on Raisina Hill. In the era of the Right to Information Act, carnivorous television news channels, and an angry middle class, the diffused decision-making mechanism of the UPA government is slow to take cognisance of unexpected events and even slower to take countermeasures. It is a recipe for disaster in a new political context where even an hour's delay can wreck the reputation of a minister or even a government. The rules of political discourse have changed for ever but politicians, as a tribe, seem to have either not comprehended it or are incapable of adapting to it, in which case extinction is the only possible result. That is why the run-up to the 2014 election will be so fascinating and almost impossible to predict. Almost. Who will inherit Nehru's seat? In the handful of weeks since the start of 2013 the Congress and BJP have gone a long way towards clarifying their leadership choices. Rahul Gandhi and Narendra Modi will now almost certainly lead the general election campaigns of their respective parties. Whether they will end up as PM is less certain. Both their credentials to be PM leave a lot to be desired in terms of temperament and the necessary command of national and international issues, ignoring what their hordes of acolytes may have to say. The next candidate in the line-up is Mulayam Singh Yadav, hoping to be the last of the generation born pre-1947 to lead India, whose right to form a government will depend on an outstanding tally of seats from Uttar Pradesh touching at least 40 and his ability to put together a broad coalition with the help of one of the national parties. Ideally, he would like to have elections right now but the stolid support of the BSP to the UPA government and an ever-present fear of the CBI case against him and his family have left him appearing strategically confused. Then come the satraps from other states like Nitish Kumar, Naveen Patnaik, Jayalalitha, and Mamata, who will need a perfect confluence of events if they are to become first among equals. In reality, this group is more likely to be kingmakers rather than the king or queen. We must also not forget to include in our list the second tier of senior leaders in the BJP and the Congress who could take advantage of a confused post-election situation and grab the top spot. I had taken it is a given that Rahul Gandhi's ambition was to become PM, that is until I heard his heartfelt speech on January 20th in Jaipur, during which he emphatically said that political power was poison. It was a stunning statement from someone who wields unquestioned power within India's ruling party and is seemingly destined to be PM, even if he has to wait an electoral cycle or two. I do believe Rahul was being truthful about his feelings, and if we are to take him at his word then I am starting to doubt if he will want to become PM, instead perhaps retaining the Congress Presidency like his mother, especially if it is to be a coalition government. It may be a blessing in disguise, given his lack of administrative experience, simplistic world view, and conflicted feelings. So then who will be Rahul's Manmohan Singh? Definitely someone from an older generation than the Congress scion, implicitly trusted by the Gandhi family, and with senior cabinet experience. By a process of elimination this would leave us with the triumvirate of Antony, Shinde and, to a lesser degree, Chidambaram. Or it could very well be some other dark horse, after all we never thought of Manmohan Singh as being in the prime ministerial race until he was anointed. Then we turn to Modi and the many road-blocks that await his path to power. An abrasive personality, inability to get past the events of 2002, which thus limits the pool of allies to choose from, means everything has go just perfectly for him to become PM. The moment of truth will come on counting day 2014, which could possibly leave the NDA as the largest alliance but with a shaky majority, and it is in such a scenario that the BJP's allies like the JDU and potential allies like the BJD could band together and veto Modi. At this point the BJP will have to make a fateful decision, whether to stick with Modi but suffer more years in the wilderness or to compromise and put forward a more moderate face like Arun Jaitley or Sushma Swaraj or even Yashwant Sinha to head the government. I doubt BJP would give up the PM's seat to a junior ally, but still join the government, as some of Nitish Kumar's supporters have conjectured. Who then Modi throws his support behind at this crucial juncture will decide the choice of the substitute BJP candidate but the country may again be saddled with a PM who owes his or her position to someone else's political wherewithal. Not ideal, to say the least. As you can see the possible permutations and combinations for the 2014 election are endless. I will try in the weeks and months ahead to profile each of the prime ministerial candidates mentioned in this post and also to delineate the issues, electoral and ideological, that could affect the outcome of the election and decide who will be India's next Prime Minister. Stay tuned. Just read your post from Tuesday outlining the 2014 outcomes. Great analysis, really looking forward to the next in the series. Let me take that one step further. I think it is naive to say these events and the groundswell will result in something at all like Kejriwal winning. Instead, the real result of this public mood points to one direction: Modi. He stands alone among major contenders as a candidate that can deliver what the people are crying out for. At a cost, yes, and one that I'm not sure may end up be worth paying, but where else are people who are angry about corruption and slowing growth going to turn? Even if they have reservations about him, as I believe the majority of voters in India do, there really is no other option. This really is a historic moment for India. It's going to be a wild, exciting ride. Can't wait to see it play out! nice analysis ... may the best horse win ! But since we are turning into virtually a two party system at the centre, we should try making a shift towards a presidential form of democracy atleast as far as the general elections are concerned !